Mr. Carroll is a Consultant Orthopaedic and Trauma Surgeon at Arrowe Park and Clatterbridge Hospitals, specialising in hip and knee surgery. He also work privately at Spire Murrayfield Hospital, Wirral. He has an established personal injuries medicolegal practice and more recently has become involved in clinical negligence work (hip & knee surgery only). Adrian qualified from The Royal London Hospital in 1995 and did his basic surgical training in central London and south-east England. He then moved to the north-west in 2000, when he was appointed to the registrar rotation in Trauma & Orthopaedics in the Mersey region. He spent the last two years of his training sub-specialising in hip and knee surgery, including one year as the Arthroplasty Fellow at Sheffield Teaching Hospitals NHS Trust. Adrian is a Member of the Royal College of Surgeons of England, the British Orthopaedic Association, the British Hip Society and the British Association of Knee Surgery. 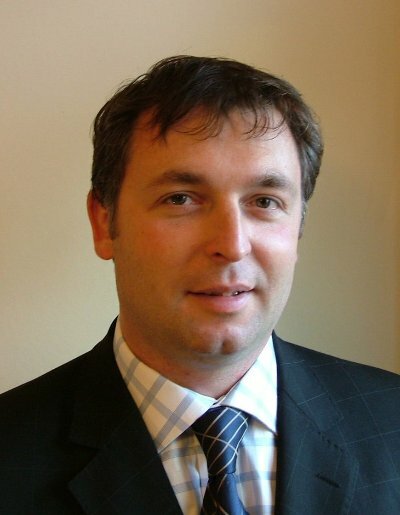 Adrian's specialist interests include primary & revision knee and hip arthroplasty. He also has an interest in arthroplasty surgery in young patients, including those who have previously suffered from paediatric hip disorders. Other interests include revision hip and knee replacement, in particular those patients with infected replacements, periprosthetic fractures, recurrent dislocations and those patients with significant bone loss. He is also interested in endoprosthetic limb salvage surgery for those patients who have undergone previous extensive revision procedures. Outside work, he is married to a local GP and has 2 teenage children. He follows many sports, particularly rugby league/union and football. He is a keen golfer with a handicap of 10 and goes skiing every winter.